We put out the call for questions last week, and as always you had a bunch of them! Jon went through and selected a handful of them to answer, and as with all episodes of Ask the Buffalo now, you can see them first on the TechnoBuffalo Revsion 3 channel on Mondays beginning at 5 PM PST/8 PM EST. You had a slew of questions for Jon this week, covering a range of topics. Is the iPad 2 your main tablet? If not, what is your tablet of choice? Do you think the BlackBerry Bold 9900 is worth the money? Should I get an iPhone instead? Do you reckon we'll see 3D tablets in the near future? What was your first computer? How did you become so interested in tech? What are your thoughts on the T-Mobile MyTouch 4G Slide? Does it have any dramatic advantages over the Sensation? I want to become a tech reviewer and would like some pointers. What is the most important task, or tasks, you have to do as a tech reviewer/blogger? 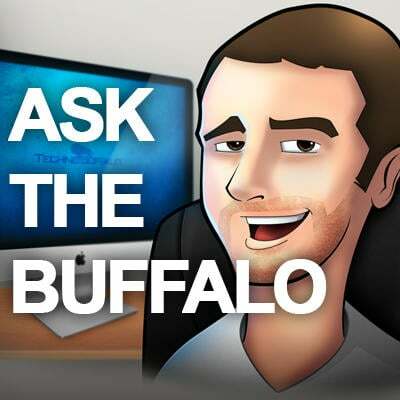 If you've missed any of the previous episodes, be sure to check out all of the Ask the Buffalo installments, and get ready to ask more questions for next week's episode!